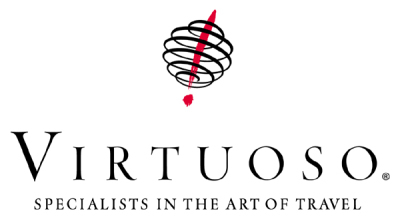 Virtuoso is a network of the best luxury travel agencies, with more than 15,200 advisors worldwide. We represent the best of the best in travel, with a portfolio of nearly 1,700 preferred partners - top hotels, cruise lines, tour operators, and more. Our advisors use their global connections to plan the most memorable experiences for their clients, from weekend getaways to dream vacations. Travel Experts members are experienced professionals who operate as independent contractors, fully embracing the entrepreneurial spirit of their individual businesses. They have the travel expertise and business acumen needed to enable them to work independently while at the same time enjoying the advantages of associating with a nationally recognized premier agency. What this means to you, the customer, is the best possible service and attention because it is in their best interest to have you as a satisfied client. 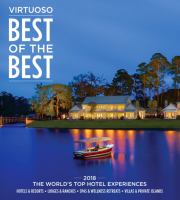 To discover what's trending in 2018, travelers need only to browse through Virtuoso®'s newly released 2018 Best of the Best catalog of the world's best hotels and experiences. 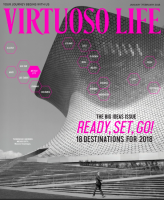 The largest edition to date, featuring 1,250 hotels, resorts, villas and private island retreats in 108 countries. Consular Affairs (CA) is the public face of the Department of State for millions of people around the world. CA is responsible for the welfare and protection of U.S. citizens abroad, for the issuance of passports and other documentation to citizens and nationals, and for the protection of U.S. border security and the facilitation of legitimate travel to the United States. CA also has a significant domestic presence, most notably the 29 U.S. Passport agencies and centers, 26 of which deal directly with the U.S. public. These far-reaching consular activities have broad foreign policy and domestic political implications and involve serious legal, humanitarian, and management concerns. Responsibility for these functions is vested within the Department of State in the Assistant Secretary for Consular Affairs and for their implementation abroad in consular officers assigned to embassies and consulates abroad. This Page allow you to explore countries, actitivites and hotel properties! Please use this as a way of giving you ideas. The world is a really big Place!